Charters is talking about a unique project that grew out of a local church Sunday school class and may have important implications for cross-cultural relations in Canada. In studying various contemporary issues, the Journeys class at Sardis Community Church in Chilliwack, B.C., became aware of the harmful effect of Aboriginal residential schools. Charters, an Aboriginal artist and member of the Coqualeetza elders group, is a regular participant in the class; he shared with the group his vision of carving a Residential School Healing Pole. With the encouragement of Don Klaassen, another participant in the class and a church mission coach with Outreach Canada (outreach.ca), a 200-year-old, eight-foot, yellow cedar pole was donated by a local businessman, and a way to transport it was designed. The pole will be designed and carved by former residential school students or their family members as a means of gaining healing. However, the pole will not remain within the Aboriginal community but will also be carried to various churches and public venues where non-Aboriginals will be invited to assist in the carving. This will help non-Aboriginals understand the impact residential schools have had on Aboriginals, make them more aware of the issues facing First Nations people generally, and build positive relationship between Aboriginal and non-Aboriginal communities. The organizers point out that residential schools have also had an impact on non-Aboriginals. Various groups and churches are now being offered the opportunity to have the pole come to them. 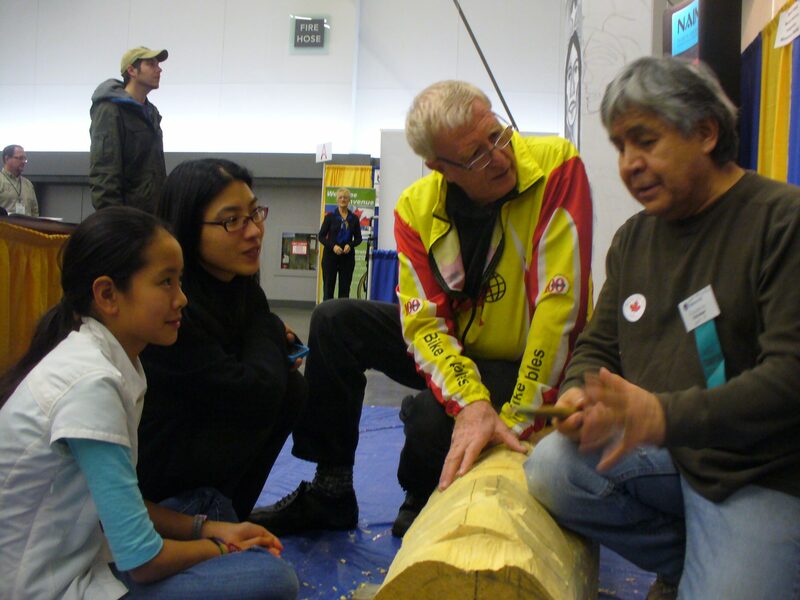 For instance, the pole was prominently displayed in the Exhibition Hall at Missions Fest Vancouver January 27-29 (missionsfestvancouver.ca), and attenders were invited to help carve. The pole may also become a feature of the Truth and Reconciliation Commission of Canada (trc.ca) events to be held in B.C. in 2012 and 2013. Upon completion of the carving, the pole will be put on permanent display in a place accessible to the public. Some Christians have raised questions about Christians endorsing use of a totem pole, says Missions Fest director Dwayne Buhler, fearing that it is either an idol or an object that depicts evil spirits. However, he points out that this understanding was a misperception of early missionaries and explorers. In fact, it was missionaries who gave the name “totem poles.” It is now understood that the poles were never objects of worship. The Native word for them means “story pole” or “kinship pole.” They generally recount important events in clan history. While some were used to celebrate cultural beliefs, that does mean that the medium is inherently evil—that would be akin to suggesting books are inherently evil because some books celebrate the occult.